We are featured in Frankfurt Book Fair's blog! 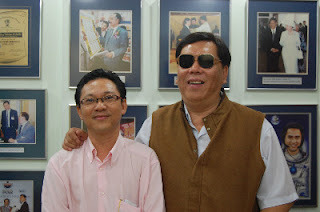 Meeting with Kohwai and Young, founders and directors of the publishing house bearing their name, in Kuala Lumpur, Malaysia. You have heard of Asterix and Obelix, right? Laurel and Hardy? How about Kohwai and Young? Believe me, they also deserve their moment of fame as another indomitable pair! As soon as we crossed the threshold of their publishing house, before even catching a glimpse of our two subjects, we easily inferred that they were a couple of characters. The receptionist politely informed us that we had to remove our footwear and put on one of the pairs of flip-flops stored in some lockers nearby. By a stroke of luck, Jeremy and I immediately found our exact size. Then we waited in front of a large pool rippling with some lovely fat carps. Kohwai later told us that raising fish is his favourite pastime, so he just had to have some at his office as well! Young was the first one to welcome us, in the company’s mini bar. We finally entered the large, brightly-lit meeting room where Kohwai sat like a king at the head of the table. As his thick, black sunglasses immediately suggested, he is blind. We hardly need specify that the traffic accident which cost him his sight at age 24 changed his life. At the time, he was working in an advertising firm, and he had to leave his job. “Then one day, I had an idea. My children, who were then aged 2 and 3, showed me a terrible black and white alphabet book. I could still just make out the pictures. The book really was awful! Yet, it has been published by the biggest Malaysian publisher. So I thought to myself, if that’s the case, I wouldn’t mind being the smallest Malaysian publisher. That was how it all began. And deep down inside, I wanted to show my children that they didn’t have just a blind father, but an injured father, whose disability didn’t keep him from still being competent, and even brilliant!” Young, his colleague and friend from the earliest years, followed him into the adventure — dare we say “with his eyes closed”? Today, the two sidekicks are over fifty, and have a catalogue of over 400 titles to their name. 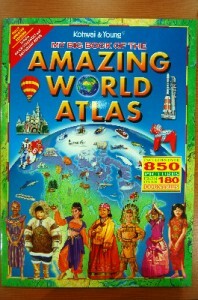 Their flagship idea is to design illustrated, western-style books at Malaysian prices. On the face of it, that means making the books available to the most underprivileged children. But digging deeper, the goal is indeed to eventually reach western markets. The vast majority of books are in English to facilitate exporting and sale of copyright, especially at international book fairs. What’s more, the seven authors who work for the publishing house are North American, and all work by correspondence. Not only are several of the titles published by Kohwai & Young an adaptation of the classics of western literature, such as the Fables of La Fontaine, Andersen, Grimm or Perrault, but their illustrations are decidedly international. 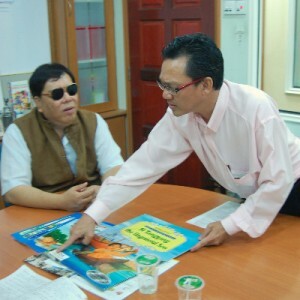 Kohwai states, “I still have 4% of my sight in my left eye, so I can work on the books by almost touching them to my face. I can only see bright colours, so that fits my job perfectly since children love those types of colours, kind of like how women only like cash!” He lets out a hearty laugh. “You understand,” adds Young, “if you want to concentrate on the international market, you must make books that everyone can accept, and which children will spontaneously love. That’s why we adopted a semi-realist style, like Walt Disney. Our illustrators are trained in that technique, and that is what constitutes our strong point in comparison with other Asian publishers whose illustrations are left more to chance and avoid realism, for example in how they draw castle architecture.” With this method, which they pursue thoroughly by bringing back best-selling books from their travels and using them as references, Kohwai & Young can boast of being one of the leading Asian publishers exporting their children’s books to Europe. Despite these international activities, the two buddies do not forget their own country. 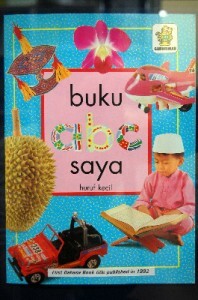 In addition to children’s books on learning English, they also publish Malaysian legends in English and Malay. 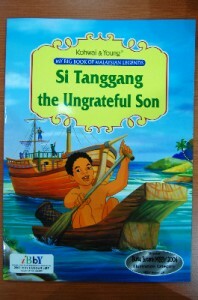 Although two books of the local legends series, 'The Princess of Mount Ophir' and 'Si Tanggang The Ungrateful Son' won the 2008 prize for illustration at the International Board on Books for Young People (IBBY), neither of the two publishers is particularly proud of the fact. “For us,” Young states, “if a book wins a prize, that means its popularity will quickly die down. 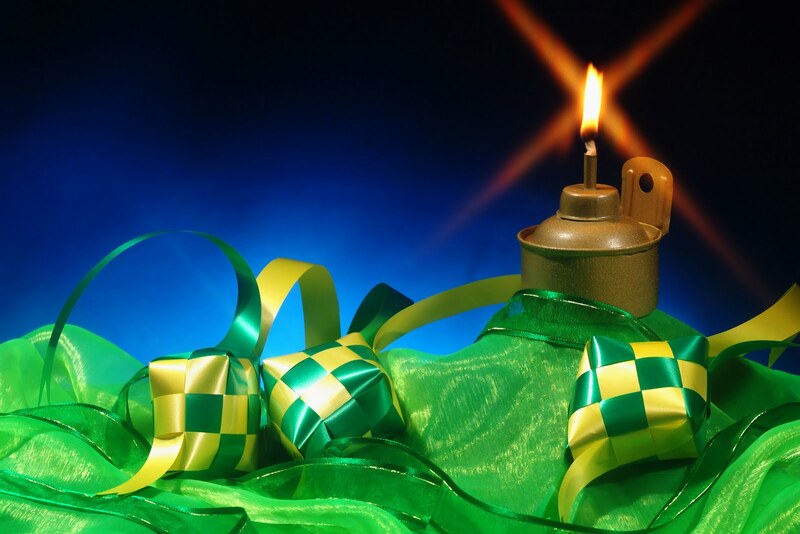 What is rewarded is inventiveness, and originality. 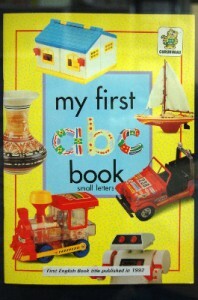 That means the book will only attract a small number of readers, and that we will have to stop printing it only a few months later since, in reality, no one is buying it.” The Malay catalogue therefore mainly lists Western classics and educational books, such as the brightly-coloured ABC book we previously mentioned Kohwai dreaming of. “The leading Malaysian publisher kept its market position, but now I am second, just behind them, so I’m happy with that,” he chuckles. Kohwai & Young use all possible and imaginable channels to make their books available throughout Malaysia: bookshops, of course, but also supermarket chains, nurseries and public libraries, and even door-to-door sales which work quite well. The books are also used as a premium by the milk and chocolate companies in their promotional packages. Kohwai and Young also have a blog!